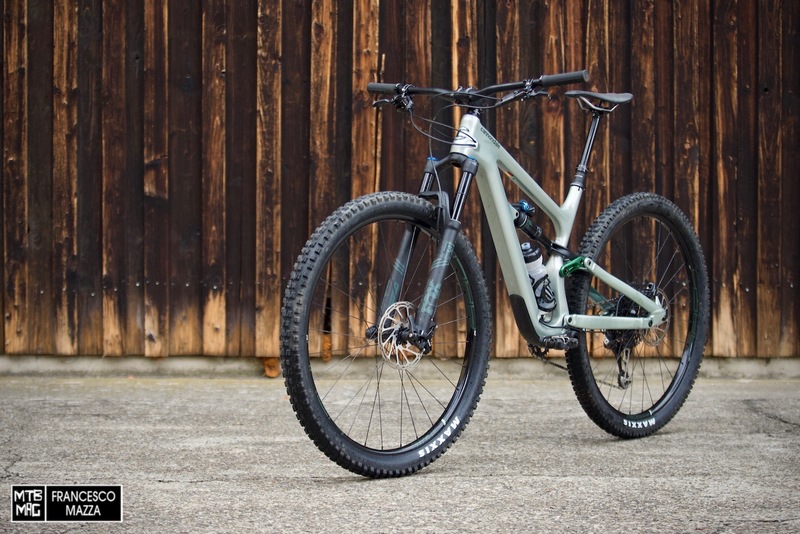 In July 2015 we were in Friborg, at the European headquarters of Cannondale in Germany, for the presentation of the first model of the Habit, the trail bike of the Big C. In recent days we returned to the Friborg headquarters for the press presentation of the new Habit model that Cannondale has completely redesigned, starting with the wheels which are now 29 inches, then moving up to the new suspension system and the new Proportional Response concept that we will walk though in this article. 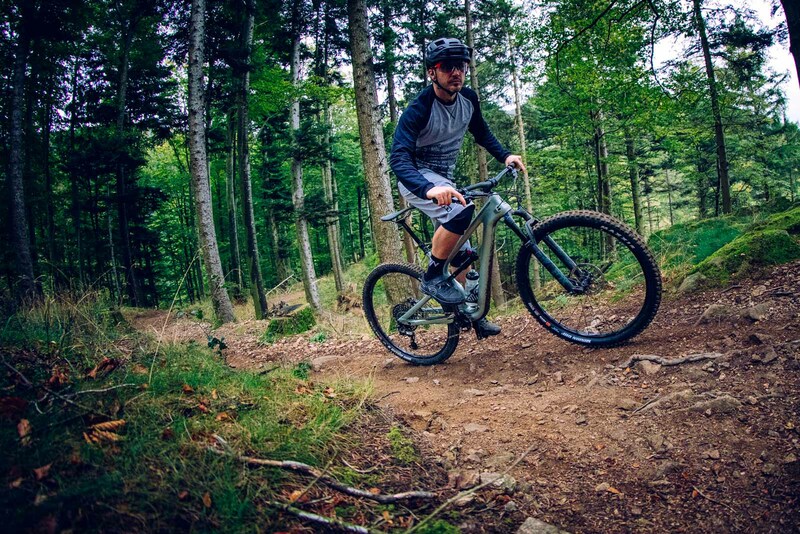 We tested the Carbon 2 set-up in a full day of riding in the Black Forest, the mountainous area behind the capital of the region of Brisgovia, full of fun trails. 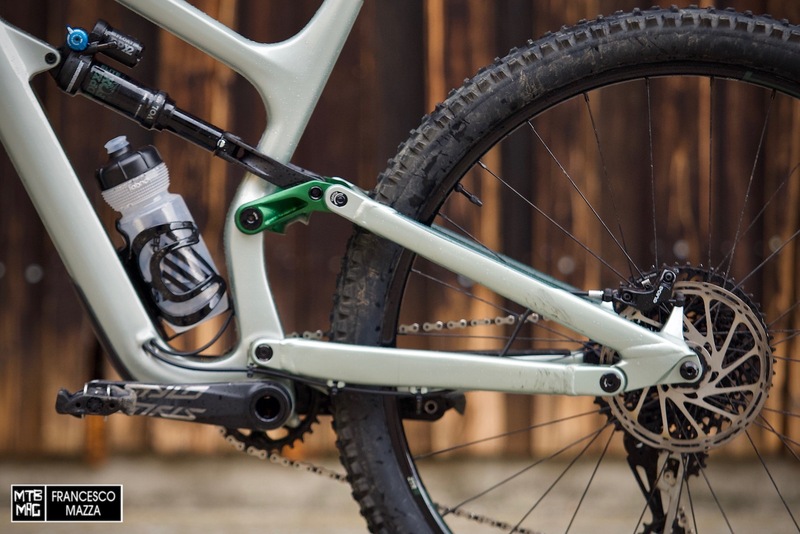 The Habit’s new suspension system breaks entirely with past Cannondale layouts and introduces a Horst link for the first time in the history of the Connecticut brand. After the Zero Pivot Construction system that characterized the previous model was then removed, the Cannondale designers, after several tests, selected the Horst style interrupted chainstay, in order to have the suitable control over the characteristics of the kinematics in terms of compression curve (anti-rise and anti- squat). Changing designs gave them more options than the single pivot system adopted for Trigger and Jekyll could offer. 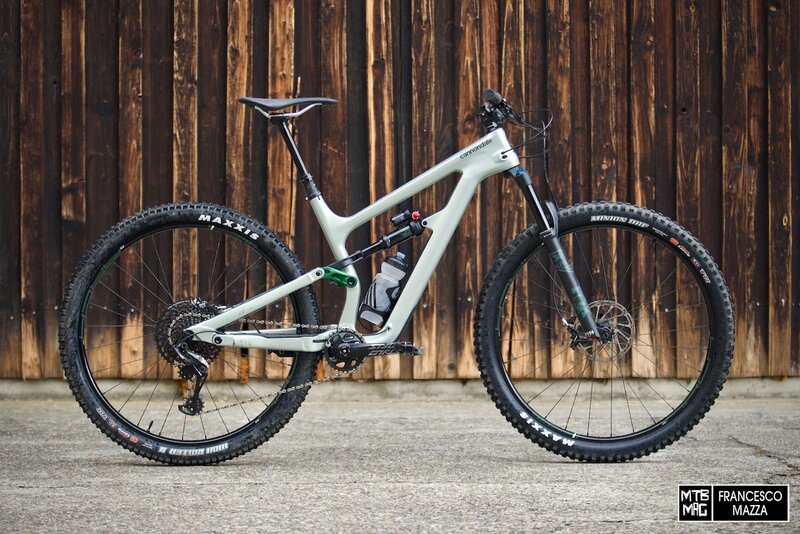 This arose from the need satisfy the Proportional Response philosophy that is introduced with Habit 29 and that will follow on the coming full suspension models of Cannondale. 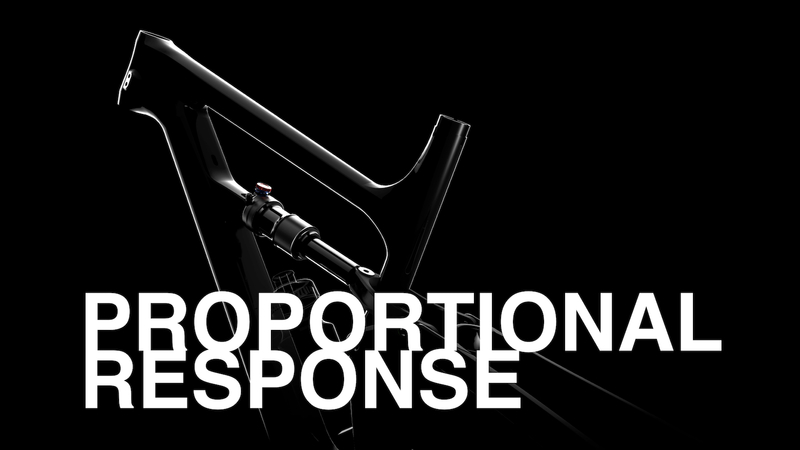 The concept of Proportional Response is to adapt each size to the rider’s different needs, not only in terms of geometry, but also in terms of suspension behavior. Riders of different heights also determine a different front center/rear center bias, which is reflected in different load shifts during riding. This creates a different response from the suspension for each size. 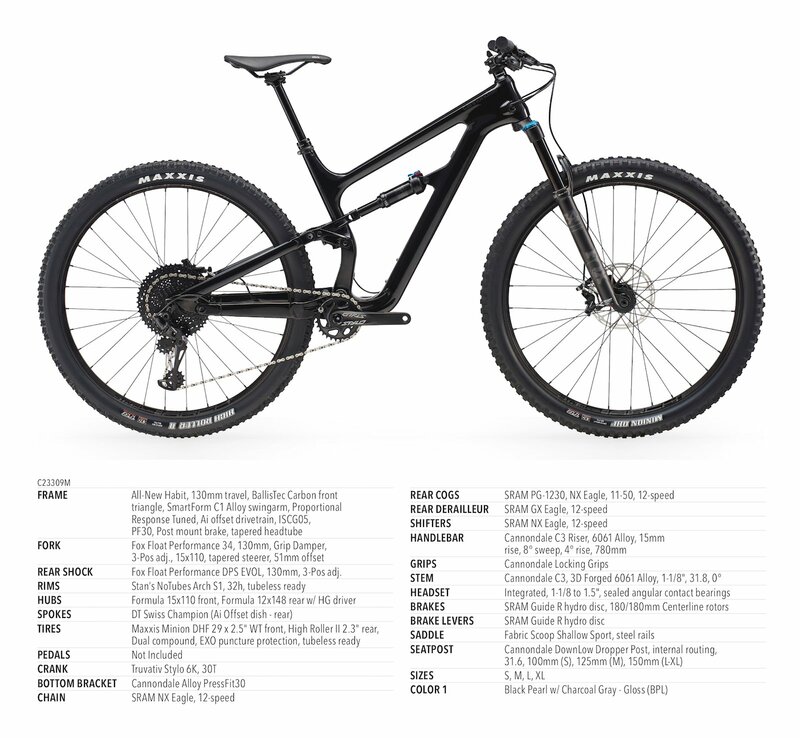 For this reason Cannondale has optimized the kinematics by adapting the compression curve and anti-rise/anti-squat figures of each size to the actual needs of riders of different heights, to ensure a similar riding experience for all sizes of the Habit 29. The compression curve chosen for Habit 29 is slightly and constantly progressive throughout the stroke. The anti-squat varies from 70 to 90% depending on the size and causes a slight compression of the suspension during pedaling, while the anti-rise ranges from 40 to 65% with the suspension in the sag position and determines the suspension during braking. We’ll later find out how these figures will influence Habit 29’s behavior on the trail. 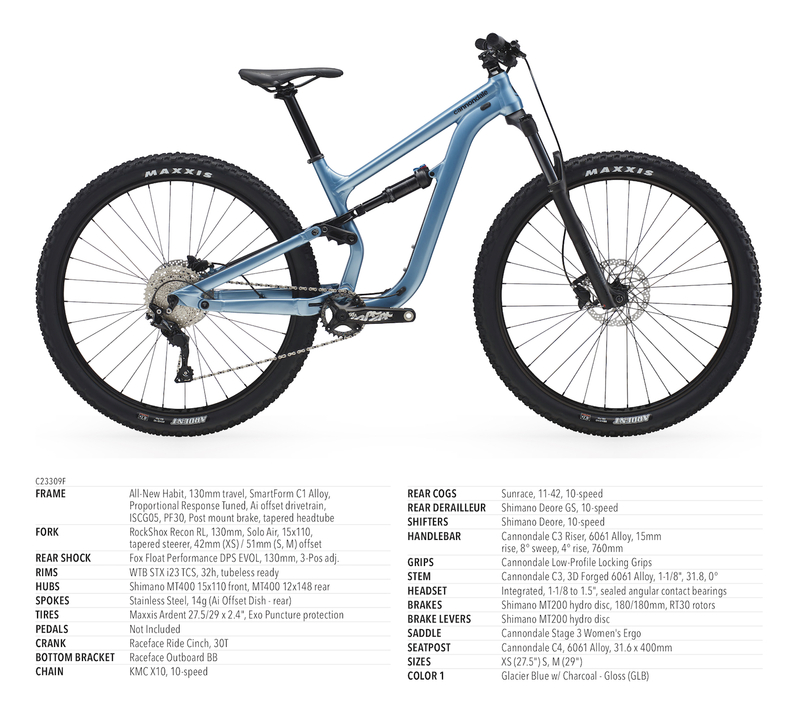 All versions of the Habit include FOX Float rear shocks to manage the 130mm of rear wheel travel. 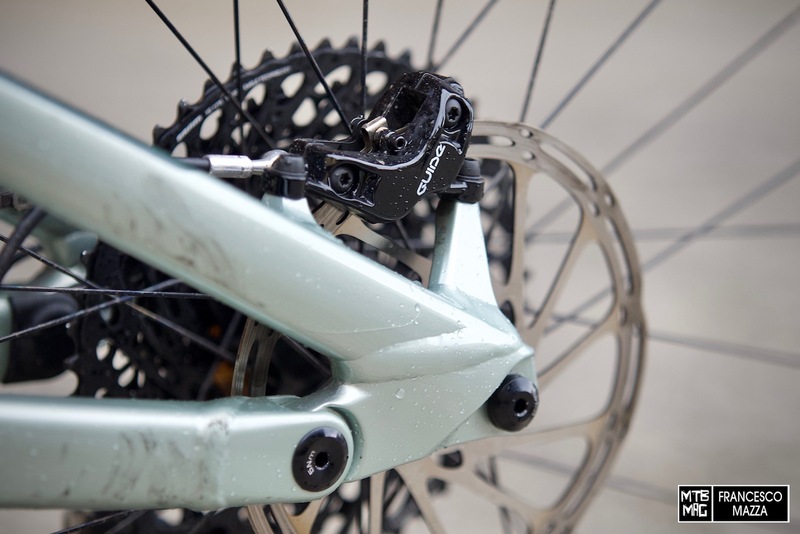 Specifically on the Carbon 2 test set-up, is the Performance Elite DPX2 EVOL version with compression/rebound adjustment and the 3 Open, Medium and Firm positions selectable via lever, on the compression adjuster. I found, with the confirmation from Cannondale’s techs, that the shock works at its best with at least two compression clicks from fully open, since at zero clicks the hydraulics seems to be asleep. With the exception of the Habit 5 set-up with a RockShox Sektor, all the other versions are fitted with various versions of the FOX 34 Float. All forks sport 130mm of travel except for the Carbon 1 option, which has a stroke of 140mm. The Carbon 2 under test is equipped with a Performance Elite version with a FiT4 cartridge. Cannondale has chosen to adopt forks with 51mm offset based on the geometry and the travel of the Habit 29. The Habit Carbon 1 features a 12-speed XTR setup, while the Habit 5 set-up is equipped with a mixed 11-speed Shimano / Suntour drivetrain. 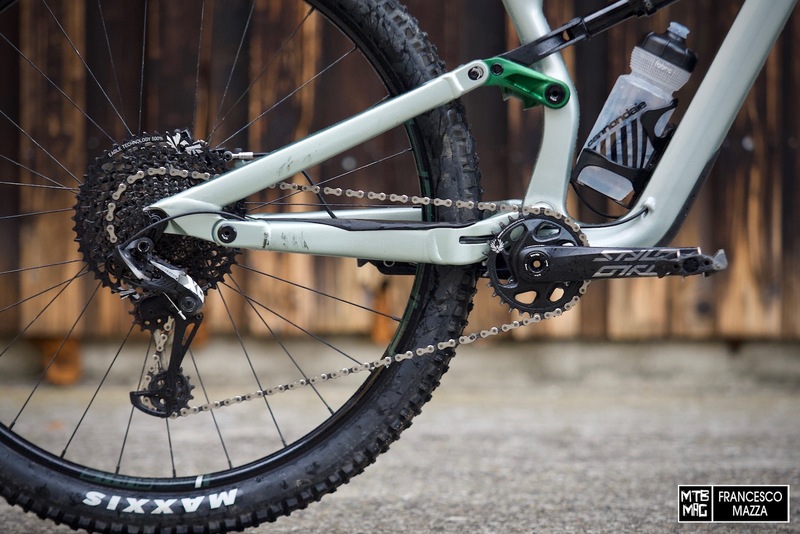 All other models feature 12-speed SRAM Eagle drivetrains with 30-tooth chainrings. 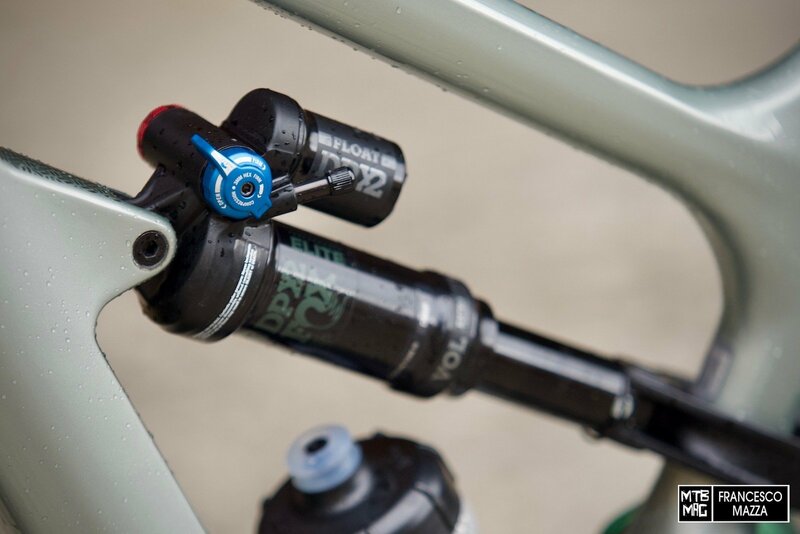 The carbon frames have a Press Fit 30 bottom bracket, while the aluminum frames use threaded fitment. The rear end is asymmetric with a 6mm offset so the wheels have a dedicated 3mm dish. The rear hub is Boost 148 and the Cannondale technicians have specified that they took Super Boost 157 into consideration but set it aside because at the moment, it’s still not very mature in terms of availability for compatible components. The rear end is still quite beefy and broad, which often interferes with heels, as evidenced by the marks left by the soles of the shoes on both sides of the bike, visible in the photos of this article. However, this was not a matter of big impacts but of smear contacts that basically do not create any major disturbances while riding. The wheels are assembled with hubs from different brands, depending on the set-up. The rims are Stan’s No Tubes with carbon frames and WTB with aluminum frames. 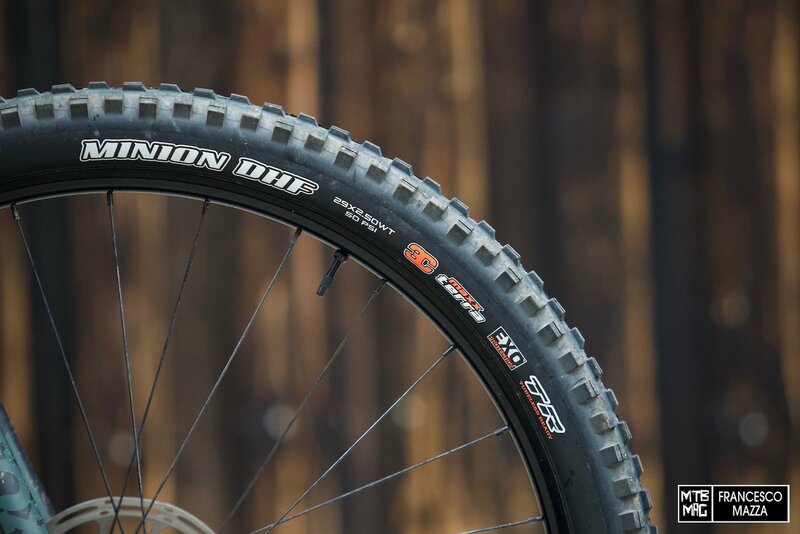 All versions are fitted with aggressive Maxxis tires with EXO Tubeless Ready carcass, a 2.5 “WT Minion DHT at the front and a 2.3” High Roller II at the rear. The maximum size that clears the Habit 29’s rear end is 2.5 “. 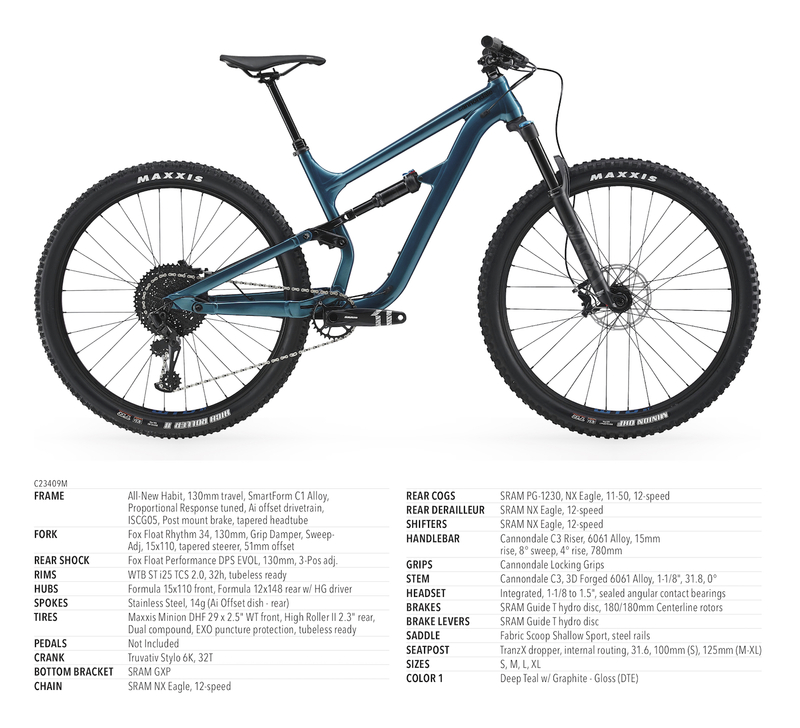 The top-of-the-range bike is equipped with the new Shimano XTR Trail 4-piston with both rotors in 180mm, buyers of all other spec levels will have to settle for SRAM Guide brakes and their fluctuating performance. No exceptions were the Carbon RS Guides 2 tested, equipped with 180mm diameter Centerline discs, which showed evident fading problems during the test riding. The frame is designed with a PM180 connection, so no adapters are needed to mount the brake caliper. 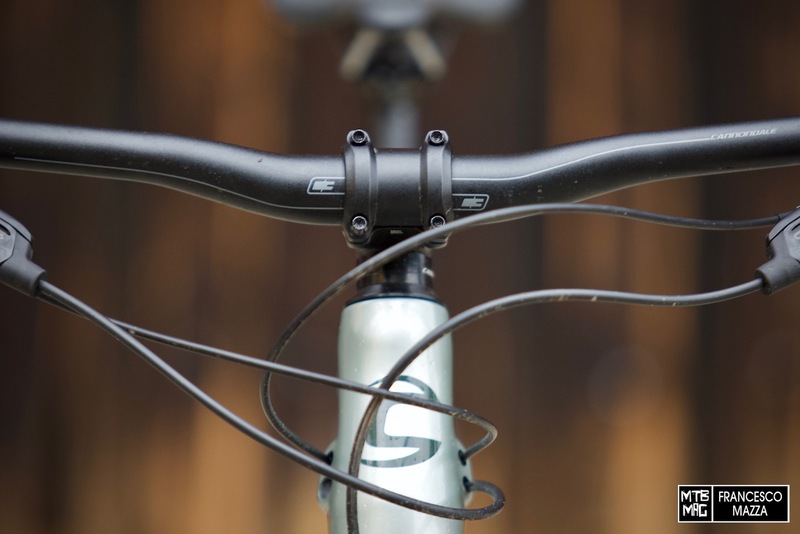 The handlebar and stem are in-house, manufactured by Cannondale. The first is a Riser 780mm wide with 15mm of rise, in the C1 carbon version for the Carbon 1 set-up and in the C3 aluminum version for all the other versions. The stem is 50mm long with 0 ° of rise and it is the C1 model for the two top versions and the C3 model for all the others. 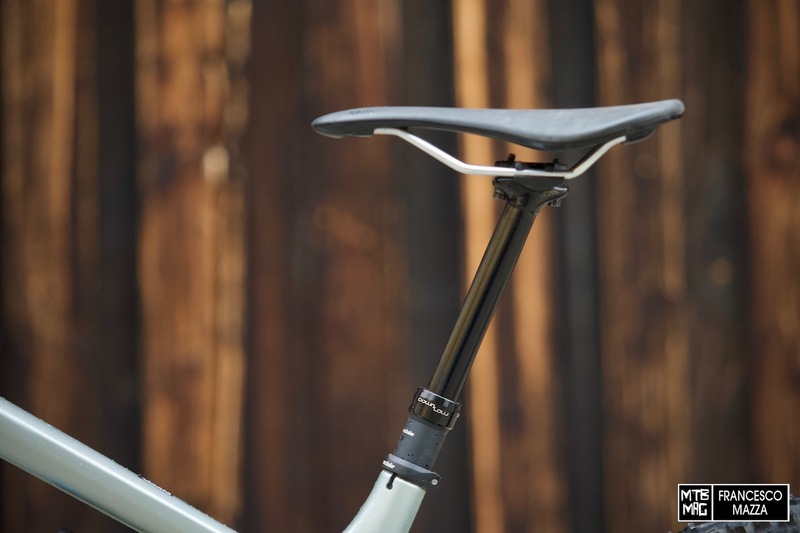 Even the DownLow seatposts that fit most of the outfits are manufactured by Cannondale and their operation at first glance seemed smooth, apart from a little initial jam due probably to the rather accentuated angle of the seat tube. 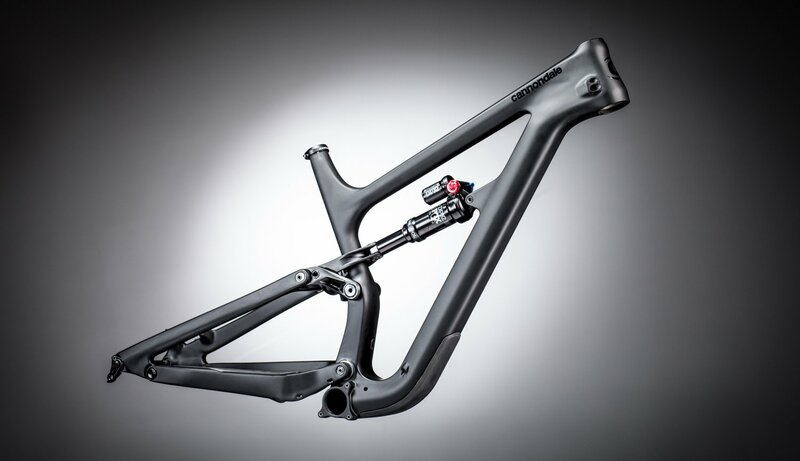 The Carbon 1 instead features a FOX Transfer Kashima while the two aluminum fittings mount a more economic Tranz-X. The seatpost travel varies depending on the models and sizes, from a minimum of 100mm for size S to a maximum of 150mm for larger sizes. The standard seat is an excellent Fabric Scoop with a Shallow profile. 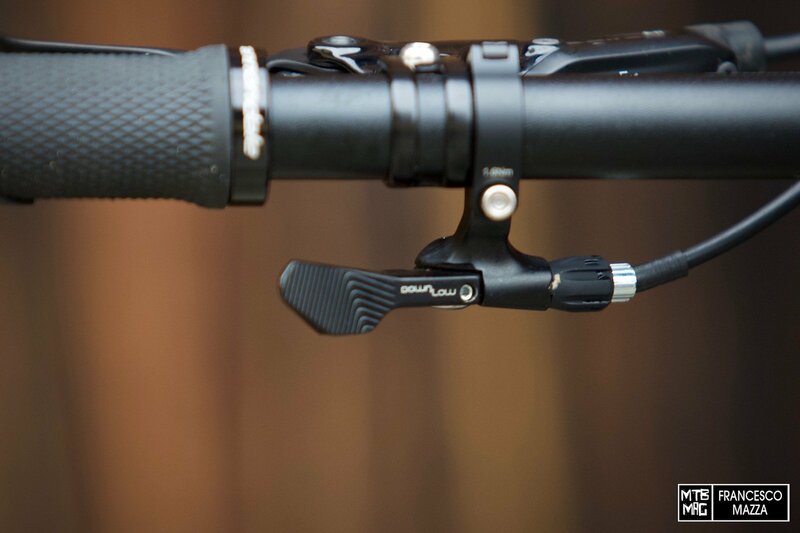 The command of the Cannondale DownLow telescopic seat post is very comfortable to implement – soft and fluid, but has a thin lever with a “sharp” edge that, if accidentally hit, can prove to be painful. The tension setting of the cable is effective and the collar is light but robust and easy to install. 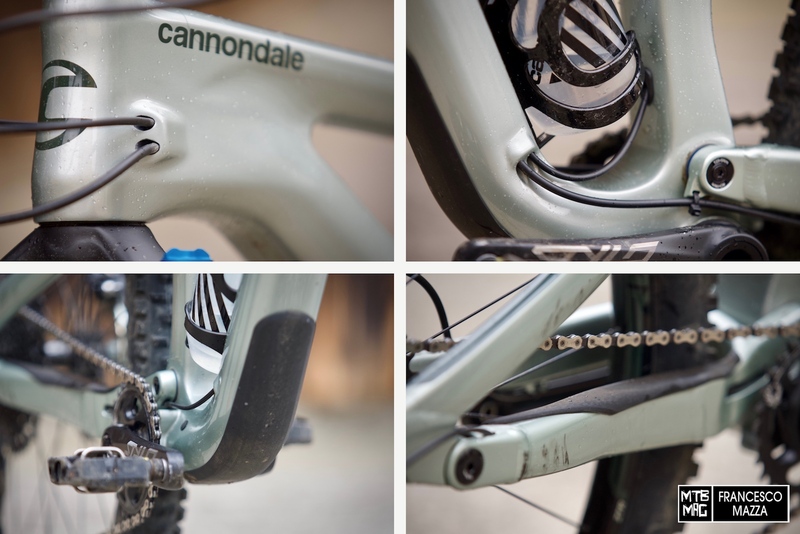 To avoid noise inside the frame and at the same time to make the installation of components as simple as possible, Cannondale has created an internal guide for each of the four cables that cross the front triangle of the frame. The guides are made of carbon tubes integrated into the frame construction and allow you to quickly and easily install cables and hoses inside the frame. The new Habit 29 can accommodate standard water bottles with easy access during riding. The downtube is protected by a pre-formed hard rubber shell, as is the chainstay and the inner side of the Horst pivot on the drivetrain side. 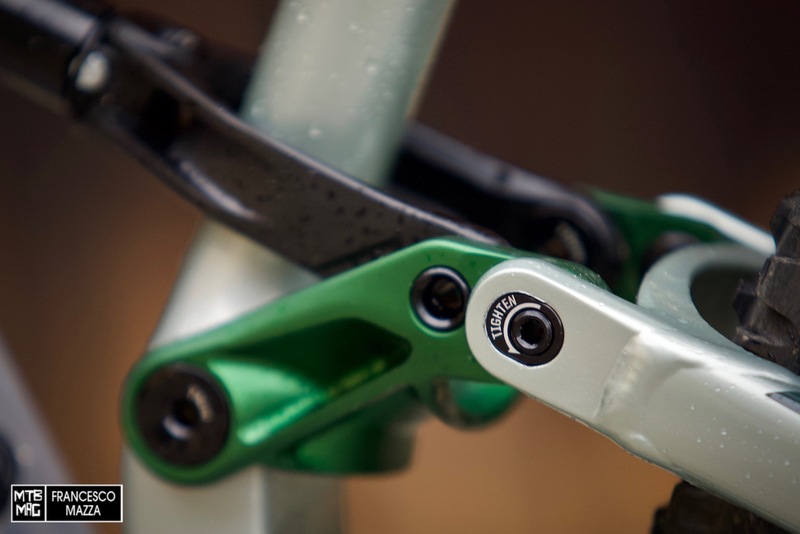 The Habit 29 has a “flip-chip” that connects the seat stay with the linkage and allows, by reversing the position, for changing the geometry of the bike to adapt to your preferences, or in case you want to make changes such as installing 27.5 Plus wheels or using a 140mm travel fork, which is the maximum recommended by Cannondale. 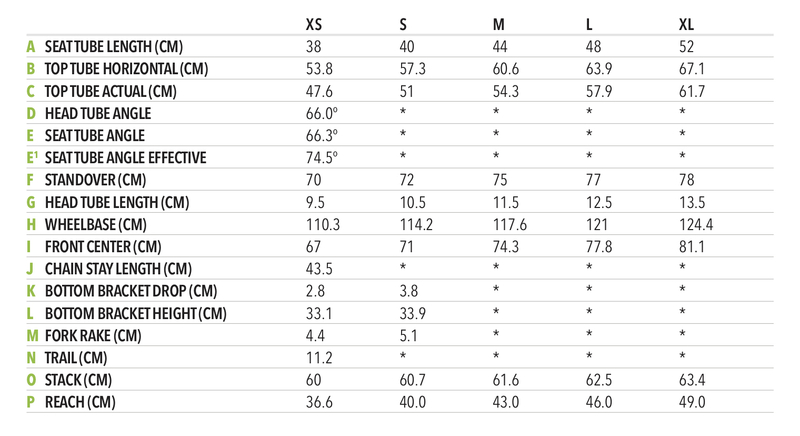 Five sizes are available, from XS to XL, with differences that not only involve the geometry but, as already stated above, also the behavior of the suspension system. With a 435mm chainstay and a head tube angle of 66°, the geometry is modern but deliberately not too aggressive, designed to create a balanced and multi-purpose trail bike, suitable both uphill and downhill. The actual seat angle is very slack and, despite a declared effective angle of 74.5 °, you feel a heavy rearward bias, which is why I preferred to bring the saddle as far forward as possible to balance the climbing position, making it less tiring for the back and knees, and for a freed up saddle on the downhills. 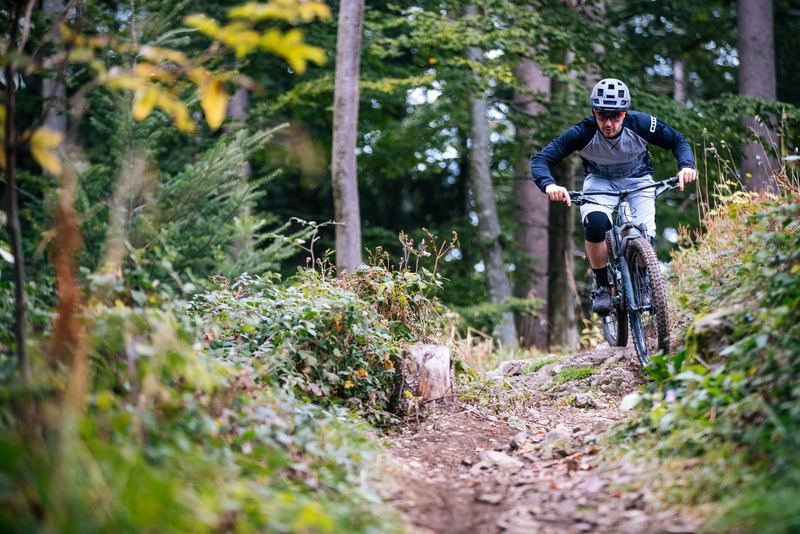 As anticipated, we tested the Habit 29 on the Black Forest trails, a mountainous area filled coniferous forests within the region of Brisgovia in Southern Germany. It consisted of mellow climbs through the forest mixed with some uphill sections on singletrack that wasn’t too technical. Then descended into mixed natural trails, some faster, some slower and more technical, then the final part of the route finished with some tracks in the bike park. 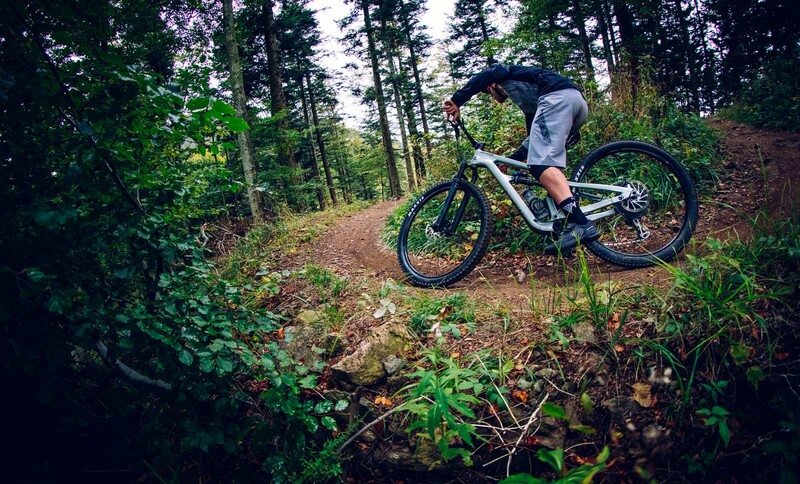 On the uphills, the Habit 29 is balanced and intuitive allowing you to pedal comfortably both on both mellow grades and on uneven ground. 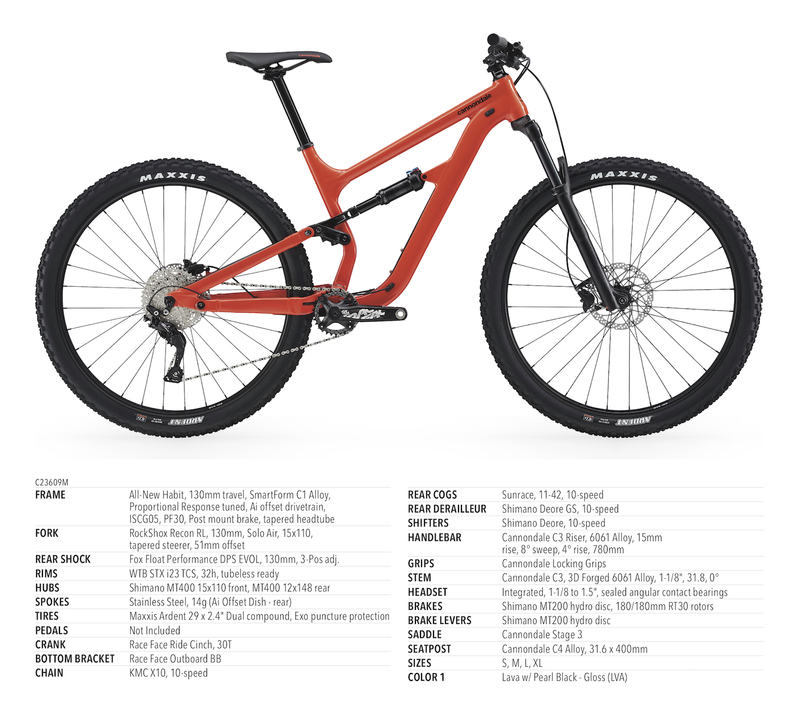 After moving the saddle forward, I appreciated the centered, balanced and rather low riding position, thanks to this, I had the classic feeling that many well laid out 29ers offer, where you feel “inside” the bike. 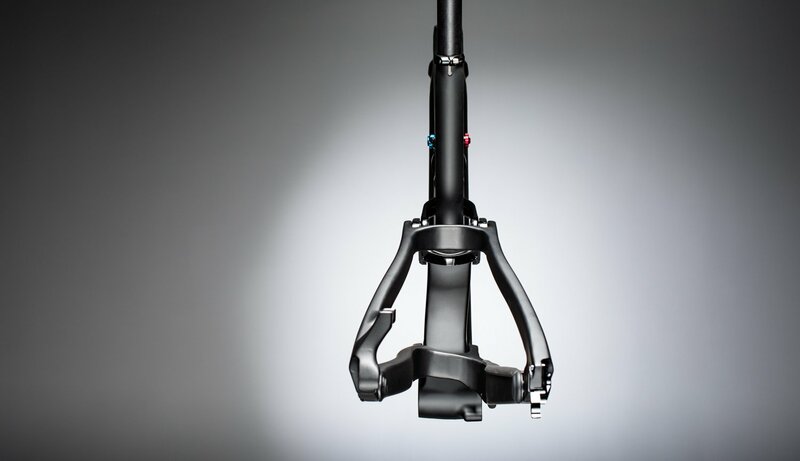 Although the suspension has a rather low anti-squat value, it remained sufficiently stable until stomping on the pedals, so that the hydraulics were needed to stabilize the kinematic system. The Firm position is very strong so it saves energy. 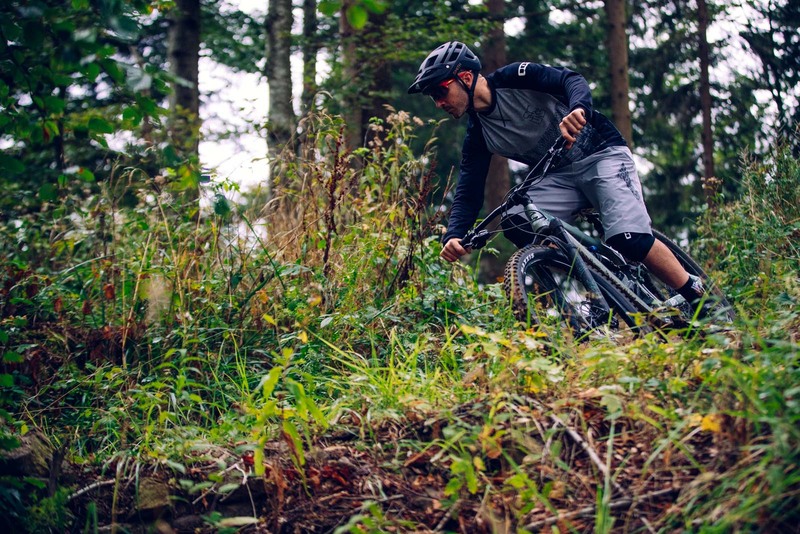 The downhill riding position is rather compact, tipping the hat to maneuverability but with some reservations regarding stability at high speeds. The Habit 29 is pleasantly agile and changes in direction are immediate and fluid. The stability in the corners is excellent as long as you remain centered and properly distribute the weight on both wheels without exceeding the front load up front. 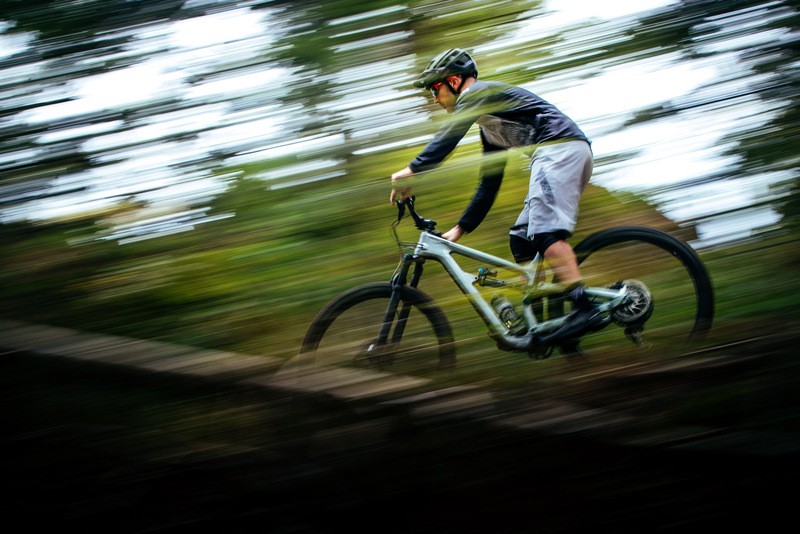 The suspension system is very plush and effective, especially in the more technical sections where it absorbs the biggest obstacles, keeping the bike stable, while on the contrary it gets nervous on small bumps in rapid succession at high speeds where it tends to stiffen. Under aggressive riding, you’ll easily use full travel, but the bottom outs aren’t violent by any means. The choice of a particularly low anti-rise level involves an extension of the suspension system during braking that allows the shock to always move more freely in the initial part of the travel, but at the same time stiffens the overall absorption capacity. The fact that the suspension extends during braking also involves the geometry, determining a load shift towards the front which increases the fork’s diving, raising the BB and makes the steering angle more vertical. Details that, if well exploited, can facilitate aggressive riding in snappy turns, but also make the bike less intuitive and therefore require a greater effort of adaptation compared to more traditional layouts.